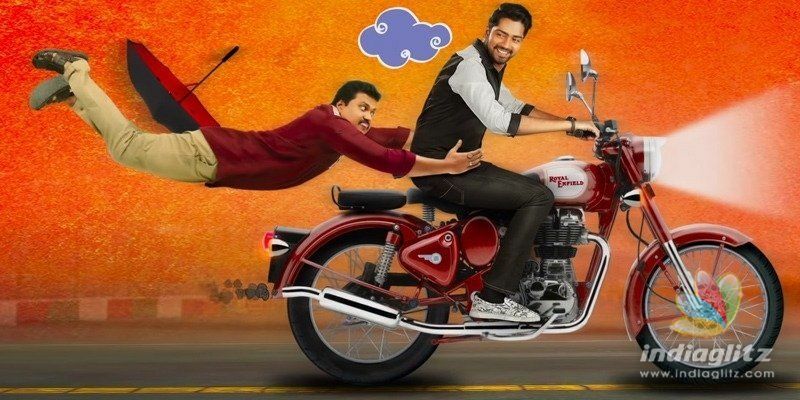 'Silly Fellows' stars Allari Naresh in the role of an ever-so-troubled friend of an ever-so-erroneous guy (played by Sunil). Chitra Shukla of 'Rangula Raatnam' fame plays a cop over whom Naresh's character falls head over heels. Jayaprakash Reddy (he suffers a head injury and has a memory loss) holds the key to a secret. Throw in the happily clumsy Posani Krishna Murali and the dumbo Brahmanandam, you have a potential laugh riot. Blunders with cops, hospital comedy, Srimannarayana, Raghu Karamanchi - you have them all in the movie. Poorna, Nandini Rai, Raja Raveendra, Chalapathi Rao, Adhurs Raghu, Jhansi and Hema are part of the cast. Bankrolled by Blue Planet Entertainments LLP and People Media Factory, it's directed by Bheemaneni Srinivasa Rao. Music is by Sri Vasanth, cinematography is by Anish Tharun Kumar and Art Direction is by M Kiran Kumar. Editing is by Goutham Raju. Fight Master is Dragon Prakash. Choreography is by Prem Rakshith, Bhanu. Lyrics are by Kasarla Syam, Chilakarekka Ganesh.